16 part, 8 stereo voices granular music workstation, with synthesizes, samplers, sequencer, granular effects and analog filter and CV options. 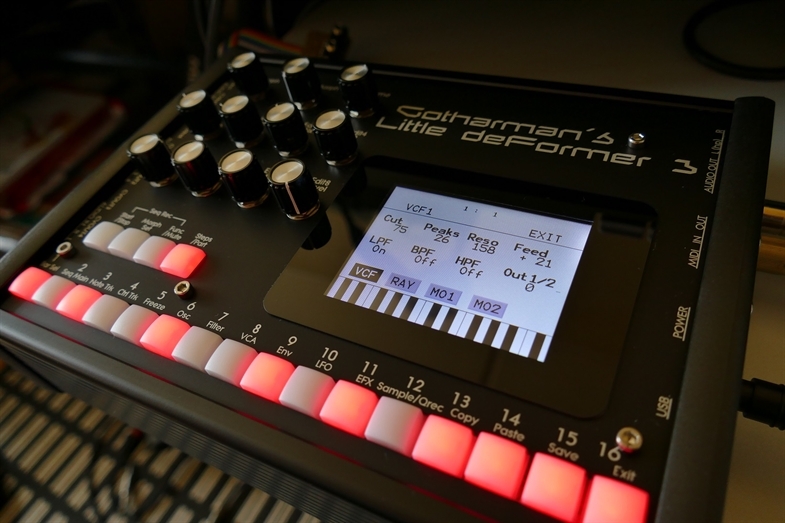 A new deFormer with more sequencing, effects and synth/sampler power than its predecessor, the Little deFormer 2. It has 16 parts. Each part can be selected to start with either a morphable multi.waveform oscillator, a sampler or a noise generator. The signal from this goes into 2 multimode (16 modes) resonant filters, and ends up in a VCA. Each part has a chomatic note range of 10 octaves. 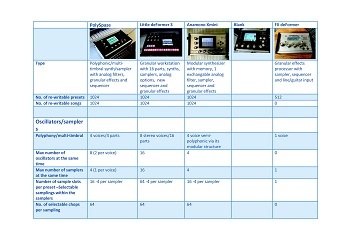 Parts can be splitted over a keyboard and/or be set up multi-timbrally, with each their own MIDI channel and key range. Each part can be sent to one or two of its 8 audio busses. Effects can be applied to these busses, up to 10 at a time, to process the synth/sampler parts. Up to 4 optional analog filters can also be applied to the audio busses, for real analog processing.